Grafton and St. John's are each rounding into tournament form, but which teams still have work to do? Photo by Ryan Bowman. We enter the final week of lacrosse in Central Mass with a pair of teams still looking to play their way into the state tournament. Let's not waste any time with intros. Here's who's in, who's out, and who still has work to do. It's pretty simple for our last two teams in the D2 C/W bubble: Win out. Both Leominster and Shepherd Hill need to win their last two games this week to reach .500, but Leominster's date with Lunenburg, and Shepherd Hill's upcoming clash with Tantasqua won't be easy. If they're gonna get in, these two squads are gonna have to earn it. Nothing as changed since last week, as both G-D and Bromfield are squarely in the field. That said, each team has hugely consequential games this week, as Bromfield travels to 15-1 St. Bernard's for a big tune up game, and Groton-Dunstable travels to rival Algonquin, where a share of the Mid-Wach A title will be on the line. For the first time in program history, Advanced Math & Science Academy is headed to the postseason. The Eagles secured tournament eligibility with a huge win against now eliminated St. Peter-Marian, and have gone from 1-15 to 9-7 in just one season. It's been a remarkable turnaround, and AMSA is headed to the state tournament. As for our game to watch, you can't go wrong with this battle for second in Mid-Mass. between Nipmuc and Hopedale. 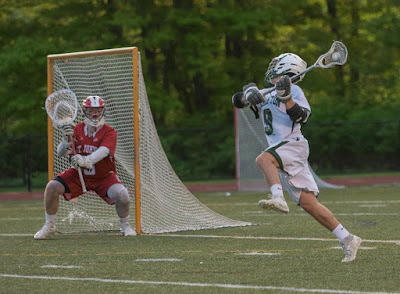 Heck, if Tantasqua can upset Grafton this week, Nipmuc can even grab a share of the Mid-Mass. crown. Either way, look for this one to be a late season classic, as both teams gear up for their tournament runs. The field is now set in D3 C/E. Since we last checked in, Lunenburg has clinched a tournament spot, thanks to back-to-back wins against North Middlesex and Fitchburg. Regardless of what happens Wednesday against Leominster, the Blue Knights have clinched their first .500 or better regular season in program history. Oakmont, meanwhile, is riding a four game winning streak, and is just a win away from Fitchburg on Wednesday away from a perfect record in Mid-Wach C.
With no teams still looking to qualify, Littleton's delayed game against EMass power Concord-Carlisle has to jump to the top of must-see games in the season's final week.